We couldn’t find our hotel. In tiny Dholavira, where there were only a couple of hotels, this was a surprise. But this is why you should really have a Jaya along when you’re touring the remote stretches of foreign countries. Jaya’s nephew Pratap, a professor of archaeology with M.S. University and India’s Archaeological Survey, had set us up with his friend Jamail as our guide. And Jamail recommended a new hotel named “NR”. 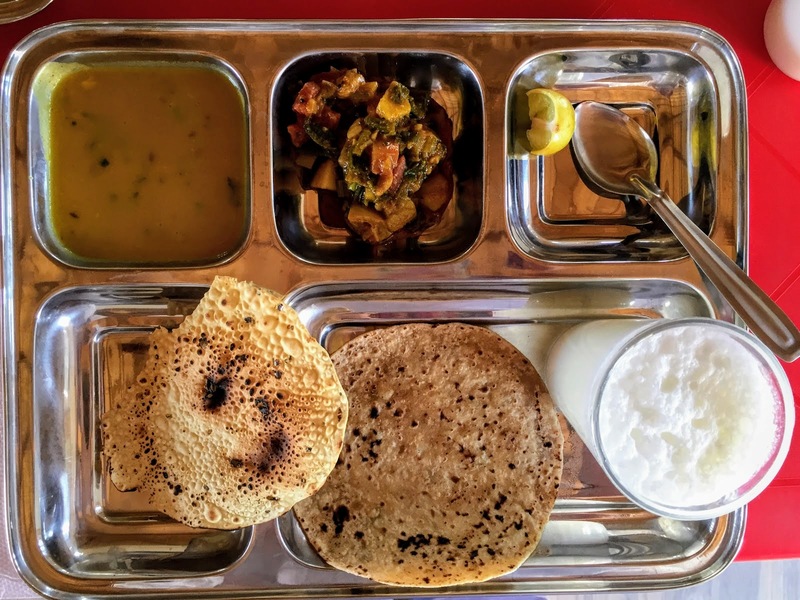 After driving the length of Dholavira (a short trip, because it’s a small ‘island’ rising from the salt flats of the surrounding Rann desert) Jaya wanted to knock on the door of the enormous border security fort and ask them where we could stay. Janine and I looked at the seriously armored defenses surrounding the fort, remembered that India and neighboring Pakistan are still on a wartime footing, and screamed at her to stop. 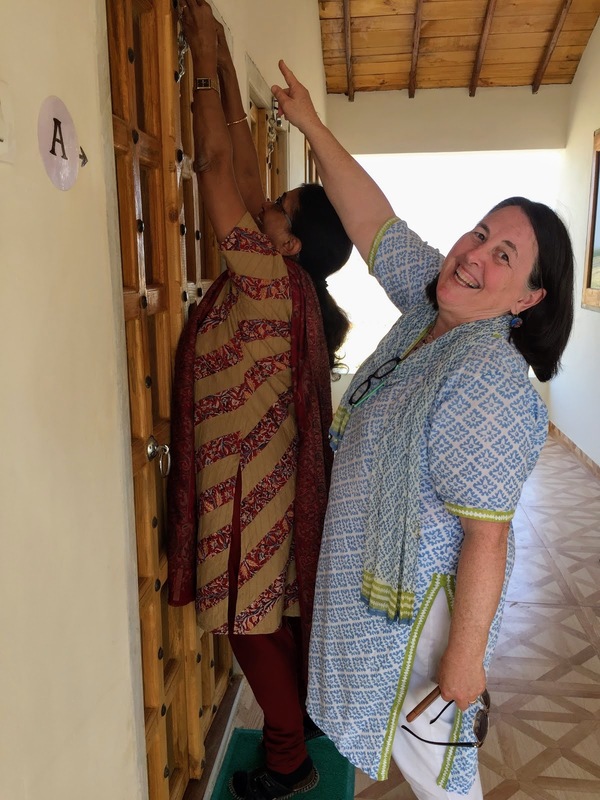 Janine remembered passing something that looked like it was a construction site, and we convinced Jaya that she could knock on the door of the armed forces later. She was still muttering about how “Indians are very kind”, but we drove on. When we came to the construction, a worker waved us into a parking area. Picking our way across the checkerboard flagstones set into the dirt, we found a reception desk, the surrounding dining tables and chairs still mostly encased in their plastic wrappings. 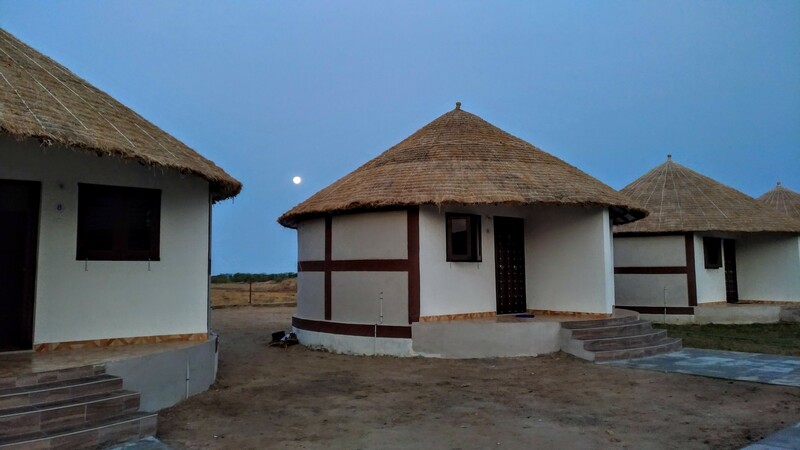 A friendly man introduced himself as the owner, “Call me N.R.” Call-me-NR told us he’d just opened the resort, whose round thatched bungalows he’d designed to evoke a tribal village. Apparently the tribal village look included locks at the VERY top of doors too high for chubby elderly lady guests. Lunch at NR Resort. Seriously YUM! 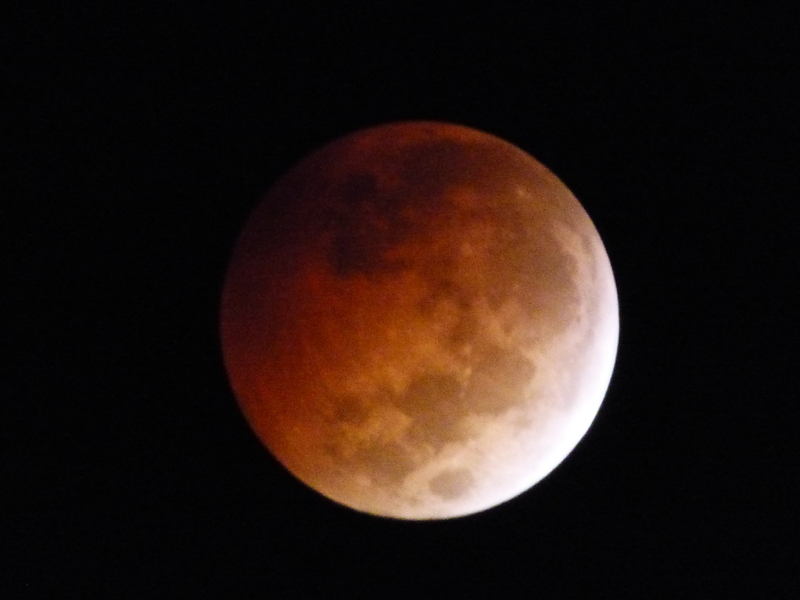 After a remarkably good meal, we checked into our room and headed out to see the upcoming lunar eclipse. Have you ever had an experience where impossible things come together in one shining perfectly synchronized moment? Me either. But that night, and with almost no planning on our part, that’s just what happened. 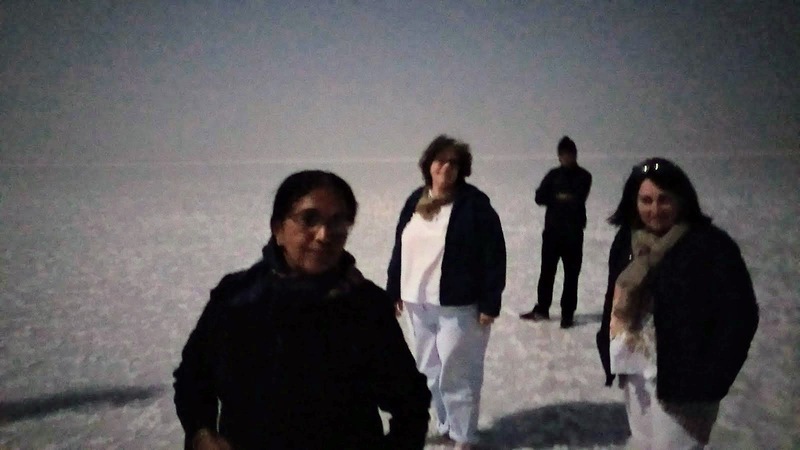 We were at the edge of India, on the Rann desert with no cities for miles, so almost no light pollution. The eclipse was expected right after sunset, it was a beautiful clear day, and we were right there. We sat on the wall edging the construction site. Other hotel guests hauled out the (plastic wrapped) chairs and set them up on the flagstone checkerboard. And all of us waited while the universe aligned itself just for us. And waited. With a snap, the power went out at the hotel, removing the last tiny bits of background light. Nobody seemed to mind. We waited through the stunning pink and orange sunset behind us. We waited as the sky on the horizon in front of us turned faintly pink. And waited. A few early stars appeared. Cameras flashed as the watchers in their chairs did what every group of Indians do: took selfies. Friendly feral dogs sniffed around, begging from the hotel visitors. A group of bikers roared up on motorcycles, and a full tour bus pulled in. All joined in the wait. “Look!” I screamed and pointed at the faintest delicately pink hint of a circle. I kept pointing, but nobody else could seem to see it. Just as I was starting to wonder if I was only seeing a retina impression from that sunset, Jaya pointed, shouting that she could see the moon. This time everyone agreed, as the huge circle emerged, now glowing red. We all watched the blood moon rise in the sky. After nearly an hour, the edges began to glow until it was surrounded by a blazing hairline ring, with a tiny gleaming “jewel” at the lower side. People fed the dogs and took more selfies (usually with camera flash). With gorgeous delicacy, the moon slipped from her eclipse, the huge disk almost seeming close enough to touch. We watched until the eclipse was over, the moonlight almost bright enough to read by. Power came back on at the hotel, but we still stayed to watch the stars filling the sky. The bikers and bus tourists weren’t quite so romantic. When we went into the hotel for dinner, they had already occupied all the tables, and the cooks were working frantically to accommodate the unexpected overflow. When we were finally sipping our celebratory chai, Call-me-NR came over to ask if we’d like to join him on a walk onto the Rann. Head out to the desert with a stranger in the middle of the night? “Of course!” we all agreed. After collecting jackets against the night chill out on the desert, we met behind the hotel. Call-me-NR leaped to the top of the hotel’s retaining wall and over to the desert side. Our three less-than-gazelle-like selves used the ‘hoist tushie onto wall, swing legs over, and drop like a stone’ method, but we made it. Call-me-NR guided us onto the salt flats. In the moonlight, the flats glowed softly. 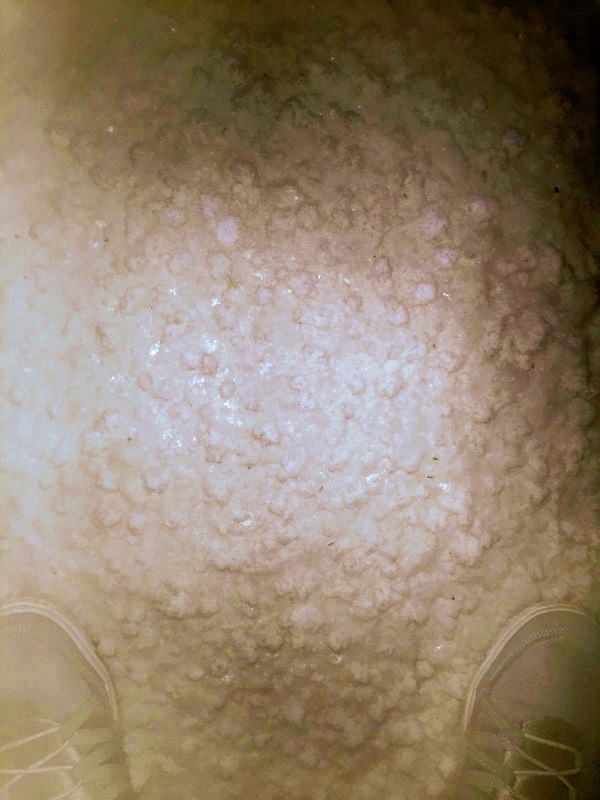 Beneath our feet, a salt carpet that looked like fresh snow glittered and crunched in the absolute desert silence. Above us, the moon beamed down, while impossible millions of stars blazed around her. We walked about two kilometers out until reaching a small saltwater lake shimmering in the moonlight. Although our heads were telling us we were standing on snow, the salt crystals were actually giving up the warmth of the day. It was after midnight when we headed back to the hotel. Going to sleep, i thought about this incredible day. 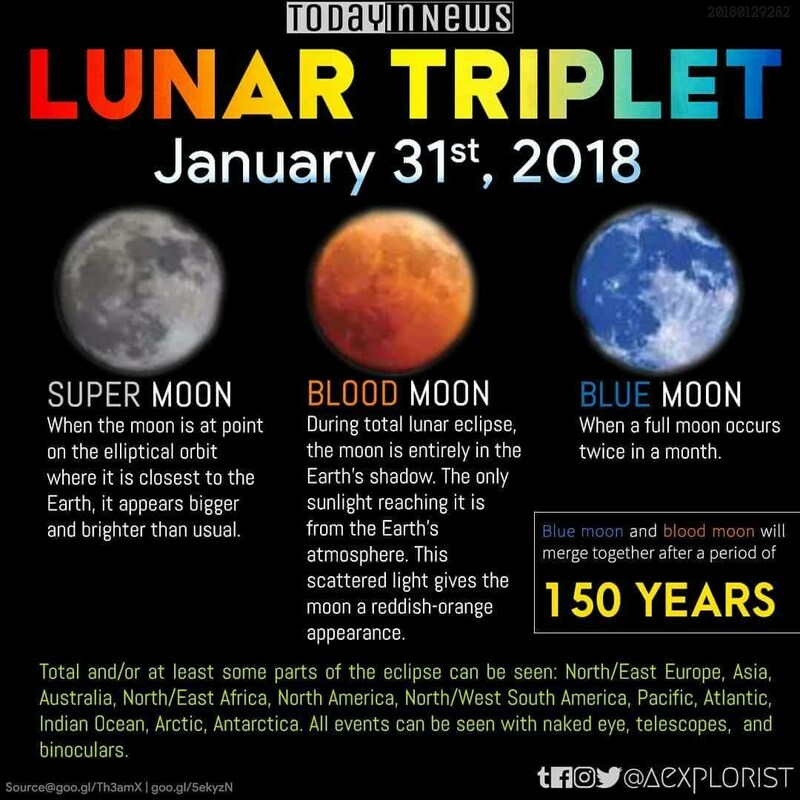 We’d seen wonders created over five thousand years ago, been there for the discovery of an ancient toy crafted for a long dead child, gotten a once-in-150-years front row seat for a lunar eclipse, and stood on a salt desert beneath midnight moon and stars. And we were there—three old friends sharing an experience that won’t come again for 150 years. There is a God, and She must really like me! A really lovely experience. Glad you saw it all. Thanks, Rosie. We can’t believe our luck. You are creating some wonderful memories, Barb. I didn’t even know ‘walking on snowy salt crystals’ was a thing or it would absolutely have been on my bucket list. She was absolutely smiling down on us that day! Yes, that was certainly one heck of a day! I’m still not sure how we got so lucky but I’m pretty glad we did! That’s the thing about India—you can have a day like that, and before you even get finished marvelling about your luck, you have another one! Brain is well and truly melted! One of the three of us (Jaya, probably) must have really piled up the karma in a prior life. What an absolutely fantastic experience, Barb. And to share it with your oldest friends makes it extra special. It’s so strange to think that the three of us share memories from 40 years ago, and are still making amazing new ones. You had a day that I am sure you will treasure forever and whenever the world lies hard upon you, it can be unpacked and the memory will be a salve. What an utterly splendid day/nite!!! Sculpted stepwells and sparkley salt and slivers of rosey moon. Wow. Same here! We couldn’t capture the magic on camera (we have LOT of shots of a dark sky with a pin-dot moon…) but I hope we’ll always remember the actual experience. What an incredible experience. You are indeed lucky and the stars (or should I say moon?) was certainly shining on you that day. But wait…there’s more! Lions and tigers and…okay, no bears. But LEOPARDS! for real.